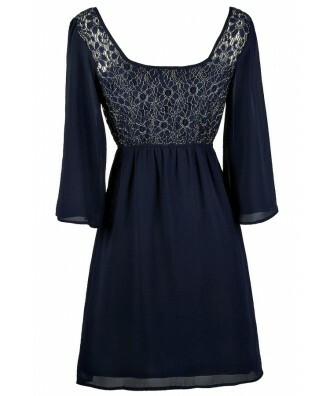 This dreamy, ethereal navy and gold dress reminds us of celestial skies! We love the boho hippie chic vibe of this dress. 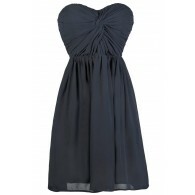 The Moon Goddess Navy and Gold Dress is made of navy chiffon. It has a rounded neckline, empire waist, and a flowy cut. 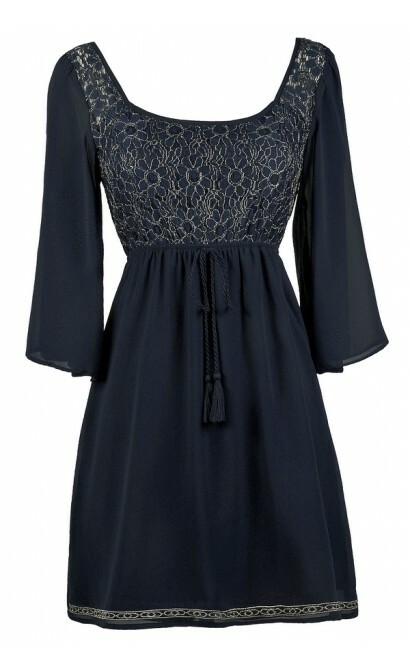 A navy panel of lace at the bust and top back is embellished with gold metallic threading, adding a touch of shine. The chiffon sleeves of this dress have an oversized flowy cut and are unlined and semi-sheer. The elasticized empire waist is decorated with a rope tassle that ties into a bow. The Moon Goddess Navy and Gold Dress can be dressed down with beaded flat sandals or gold gladiator sandals and a gold boho headpiece. You could also dress it up with wedges or pumps. We absolutely love the bohemian style of this unique dress! Details: Lined except at sleeves. 100% polyester. Contrast: 80% polyester, 10% cotton, 10% metallic. Lining: 100% polyester. Hand wash cold. Do not bleach. Lay flat to dry. Small measurements: Length from top of shoulder to hemline: 33". Bust: 34". 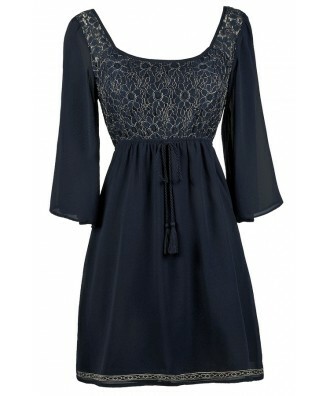 You have added Moon Goddess Navy and Gold Dress into Wishlist. 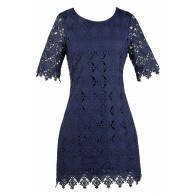 You have added Moon Goddess Navy and Gold Dress for Stock Notification. 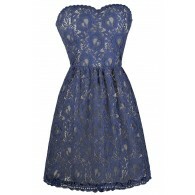 You have set Moon Goddess Navy and Gold Dress as a loved product. You have removed Moon Goddess Navy and Gold Dress as a loved product.